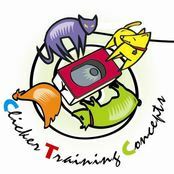 Follow this link to find out about further training hosted by Clicker Training Concepts c.c. Qualifications/Experience Based in Johannesburg, South Africa, Maxine Quinton started her career as a dog handler in Durban, using what was then the most recognized method of training dogs i.e. positive reinforcement combined with compulsion. In 1988 Maxine started to explore clicker training, and quickly became convinced that this is the most effective way to train and better communicate with animals. Maxine has qualified a number of different breeds of dogs (e.g. German Shepherd, Jack Russell Terrier, Malinois, Border Collie, cross breeds, Boxer) in disciplines such as agility, dog jumping, breed, obedience, International Tracking Trials, International Working Trials, dog carting, Classic Working Trials, Breed working trials, etc. One of her highest achievements was qualifying her German Shepherd, Kenzo as Police Dog Champion and winning the title Working Trials Dog of the Year in 1995. She has been teaching dog training since 1985. Maxine has worked with many different species of animals, and has given workshops throughout South Africa and Namibia. 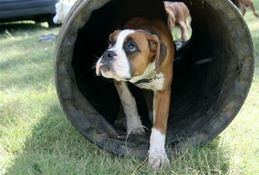 She also teaches various canine disciplines in the Johannesburg and Pretoria areas on a regular basis. Maxine has written many articles for various magazines, and has appeared on television many times demonstrating clicker training and its uses. She has trained a variety of animals (e.g dogs, cats, pigs, goose) for well known TV advertisements and movies. She has also trained a large variety of non domestic animals and presented several clicker seminars for the professionals. Maxine regularly attempts to increase her knowledge and has attended courses by e.g. Peter Neville, Bo Janssen, Baldor Krantz, Martin Hilgemann, Raymond Coppinger, Ian Dunbar, etc. In 1994 she attended the Ethology lectures at the 19th World Congress of the World Small Animal Veterinary Association. In 1998 she completed a course in Companion Animal Behaviour at Ondestepoort, the veterinary faculty of the University of Pretoria. My motto is "put the fun back into training" as I believe that it is imperative for both handler and animal to enjoy the training/learning process. Puppy classes are geared at interaction and exchange of ideas between puppies and handlers. Everyone is encouraged to actively participate at whatever level they feel comfortable with. I have bred a number of litters of Malinois, and have studied the progess of the puppies from birth though to old age. This has given me added insight into the training and behaviour of puppies. The obedience, social and especially the competitive classes are becoming more and more popular, with many handlers wanting to go on to improve their understanding and bond with their pet. I began clicker training in 1988. In 1997 I gave the first clicker workshop. This method of training became popular throughout the world, and I continue to give workshops throughout South Africa and in Namibia. Many students attend these and quite a few have gone on to teach and offer workshops themselves. 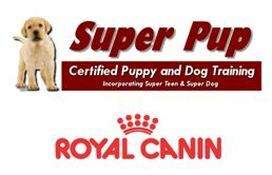 When used in puppy classes, the attention and desire to learn is easily apparent, and it is these puppies that generally achieve later on in life.